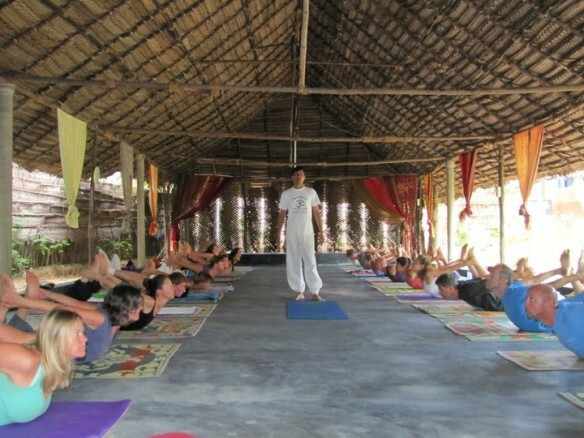 Vasudev has twelve years experience teaching Yoga. He has developed a strong reputation with independent travellers as well as international groups as a local teacher par excellence. He first came to Yoga through his mother, herself trained by his grandfather, a well-known Yogi and Kerala Ayurveda physician in the 1920's. 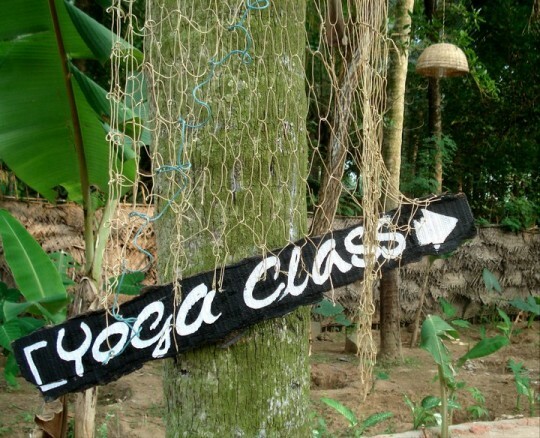 Yoga-Vedanda Forest Academy trained, Vasudevdev has developed his practice by studying with many Yogis around India. 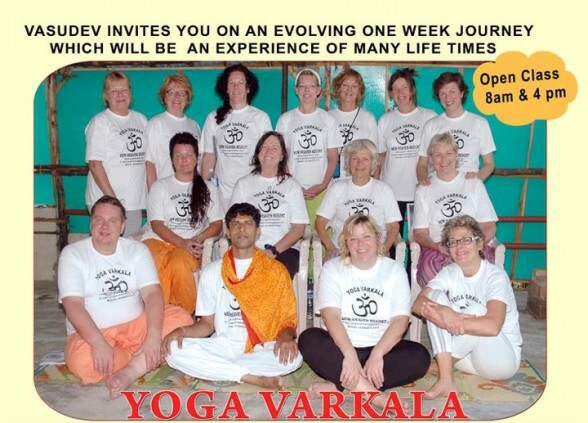 Vasudev teaches classical Hatha Yoga in the style of Sivananda. His open classes, catering for intermediate and advanced students, include a large variety of Asanas, proper Pranayama and deep relaxation, and last for nearly 2 hours. He has developed a unique beginners course for people who have no experience in Yoga or who have tried some classes but would like to learn the correct way to do Asanas and Pranayama. The manual that he has produced as as a syllabus for this course is an excellent resource for the student. As well as detailed photographs and instructions for the correct execution of each Asana and Pranayama exercise, the manual contains a wealth of information on the ancient science of Yoga. 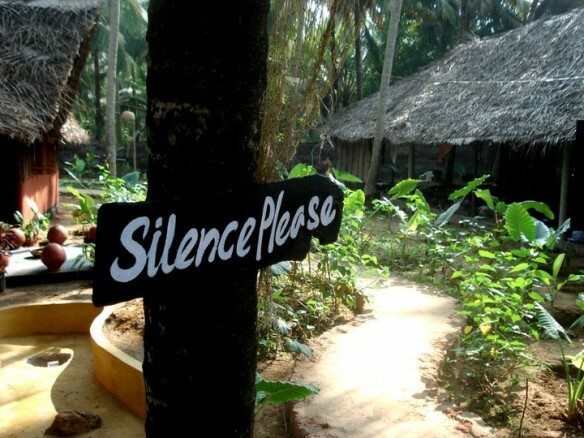 Vasudev's Yoga in Varkala offers the independent traveller a quality experience that celebrates the mind, body and spirit in a stunning location. Yoga classes for intermediate and advanced students at 8:00 and 16:00. Cost rs 250/person. These unique, seven day beginner courses run from Thursday to the following Wednesday between 10:00 and 12:00 throughout the season. The course caters for people who have never experienced Yoga or who have a limited knowledge and wish to discover the many benefits of Yoga practice. 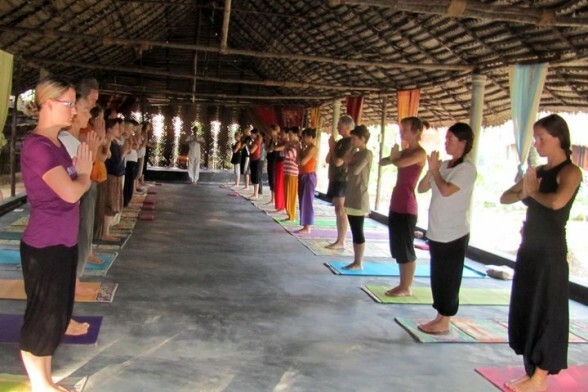 During the seven days, the students learn the techniques of ancient yoga to stay young, vibrant, energetic, healthy and stress free. By the end of the course, they have developed a good knowledge of safe, effective techniques that they can continue to practice in order to maintain a healthy body and mind. Asana - Physical movement and postures designed to increase strength and flexibility in the body and the mind. Pranayama - Breathing techniques to cleanse and balance the body and still the mind. Relaxation - Through auto-suggestion and visualisation, the body and the mind go into a deep state of relaxation that re-energises the entire body. The two hour sessions are run as workshops, with demonstrations, explanations, discussions and guided practice. There is plenty of time to clarify any doubts and correct any mistakes. The sessions are conducted in a serious, but friendly and relaxed manner, and the students are encouraged and supported to attempt all asanas and to give full attention, and listen to, their bodies. Students are not put under any pressure or stress as Vasudev's approach is gentle. He is quick to catch the mistakes of the students and able to correct and adjust their poses. The students who complete the course gain an excellent understanding of the correct way to do asanas, pranayama and relaxation, and feel confident to join any Hatha Yoga class. The cost of the seven day course is 2,500 rupees and there is no need to make a booking. Beginners can try the first session of the course (Thursday) for free with no obligation to continue if they do not feel that Hatha Yoga is for them.